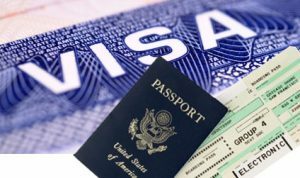 Visas and Immigration-UK Visa, USA Visa, Canada Visa, Schengen Visa Visas and Immigration Process – Applying for visa is one of the most critical aspects of your preparations for overseas immigrations/studies. The visa, however, can also be one of the most daunting aspects of the preparations. It is one aspect with which you will seek guidance. Our team of experienced expert abroad visa consultants has expertise across all countries and is able to guide you through the complex maze of preparing and submitting your visa application. You can benefit from our comprehensive package of advice designed to ensure that you are fully prepared, taking advantage of our guidance on collecting relevant documentation. This also includes all important financial aspects and assistance with the key aspects of any interview that you may have with the High Commission or Embassy. 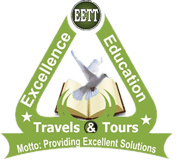 With Excellence Education Travels and Tours, you can be assured that you will address all relevant visa requirements successfully. At EETT, we are here to help you apply for your visa with minimal hassle and stress. Our professional consultants will also provide you with an important checklist and help you prepare for visa interviews, if needed. The EETT Consultants make the complicated process of applying for any kind of visas very simple and easy. Experts know exactly how to guide you throughout the visa process. Also called Study Permit, Canadian visa requires you to submit several documents that includes the unconditional acceptance letter, passport size photographs, passport, fees receipt, academic documents, financial documents, all relevant correspondence with the university, scholarship letter if any, medical reports, work experience details and test scores. Apart from offering the right Canadian visa advice, expert counselors Excellence Education Travels and Tours will also review your documents. The EETT Visa Counseling programme is a comprehensive programme with personalized guidance from a group of dedicated visa expert counselors. The team comprises individuals with expertise in F1- student Visas. Visa Counseling is a psychological process where students need to develop the correct mindset and learn to answer questions to the point. We conduct intensive 8 to 10 mock visa interviews for students under expert guidance with feedback, strategies and the correct approach to answer questions experienced in visa interviews. The Visa process requires the preparation of correct academic, financial and other supporting documents that the interviewer would sometimes require for verification during the interview. We guide students in this respect by sharing correct document formats and dealing with every student at an individual level. Sponsors are advised and extensively supported during the financial planning and preparation stage for visa. Individual financial backgrounds are analyzed and correct presentation approaches are elected. 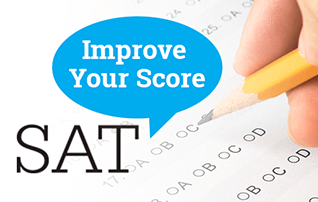 This is the final step that enables a smooth transition of the student to the US. At this stage, students and parents are counseled in terms of insurance required, foreign exchange details, life in the US, the correct mindset, rules and regulations, American lifestyle and related avenues. Types of Visas That We Specialize In. There are several visas that a foreign national may apply for to be lawfully admitted into any country, either temporarily or permanently. A few of the commonly utilized visa categories are outlined below. Whether you want to travel abroad to find a job or want a work visa for a job offer in hand, EETT can help you. Not only are we among the world’s best immigration companies, but we are the leading work overseas company in Nigeria. Start now to get a work visa quickly and affordable! Already have an admission and looking for help to get a visa? 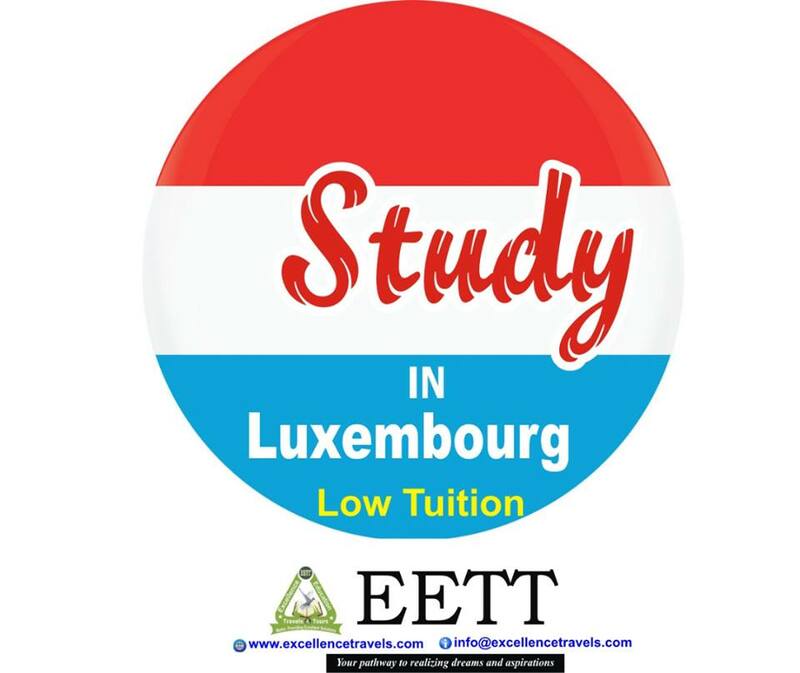 EETT is Nigeria’s largest immigration company and we are your best bet to beginning your education abroadquickly. When you are going on a journey of a lifetime and are all prepared to depart, a visa should not be the showstopper. Make sure you use EETT Visa Services to file your visa application to make sure your visa application is done right the first time and is ready before your departure. If you are busy to do your visa yourself and can’t take a chance about not getting your visa on time, don’t take a chance. Just call EETT Visa office and we will make sure your visa arrives without any hassles. We also offer concierge service to take care of all the small stuff not worth your time. No country wants to keep families apart, but every country has its own criteria for spouses and dependent children. EETT is very successful at helping its clients bring their families together on a Dependent Visa. For those whose spouse/parents are on an immigration visa & these applicants wish to join them. Visit our office at 23 Kayode Street Caterpillar Bus Stop Ogba Lagos or Stro House Oba Ogunji Road, 2nd Floor Agege Pen Cinema, Lagos for more information. We have been successful in drafting appeal letters and orienting applicants for an interview for those who have been previously refused visas. Talk to us to find out whether it is worth applying again. Australia study visa, America Study Visa, Canadian working visa, Schengen visa fee, Immigration Canada, Apply for Dubai visa, UK business visa, Live and work in Canada Visa, Schengen visa in Nigeria, Apply for USA visa, Apply for US visa in Lagos, Apply for Canada visa in Lagos, Apply for UK visa in Lagos, Apply for Australian visa in Lagos, Apply for Schengen visa in Lagos, Apply for USA study visa in Nigeria, Apply for USA tourist visa in Lagos, Apply for Canada Tourist visa in Lagos Nigeria,Schengen visa application in Lagos Nigeria, Apply for Immigration Canada, Visa application for USA, Visa application for Canada, Visa application for UK, Visa application for Europe, USA visa application in Nigeria, UK visa application in Nigeria, Canada visa application in Nigeria, Canada study visa application, Canada express entry eligibility, Schengen visa application in Nigeria, USA visiting visa application, USA study visa application, Schengen visiting visa application, Where can I apply for Schengen visa in Lagos, Schengen visa in Lagos, Schengen visa requirements, American Visa application in Nigeria, American Visa fee in Nigeria, Australian Visa requirements, Australian visa fee, Australian visa application, Australian tourist visa, USA tourist visa in Lagos, Dubai tourist visa in Lagos, Australian business visa, Business visa to USA, Dubai visa application agency in Nigeria, UK tourist visa in Lagos, Canada tourist visa in Lagos, Live and Work in Canada, Canada Express Entry Application, The best company for Live and Work in Canada, The best company for Canada Express Entry, Canada Express Entry Agency in Nigeria, The best immigration company in Nigerian, How can I migrate to the USA?, How can I migrate to Canada?, How can I migrate to Australia?, How can I migrate to the UK?, How can I migrate to Europe?, How can I move my family abroad?, How does express entry work?, How can I start the Canada Express Entry?, How can I live and work abroad?, Is IELTS compulsory for Canada Express Entry?